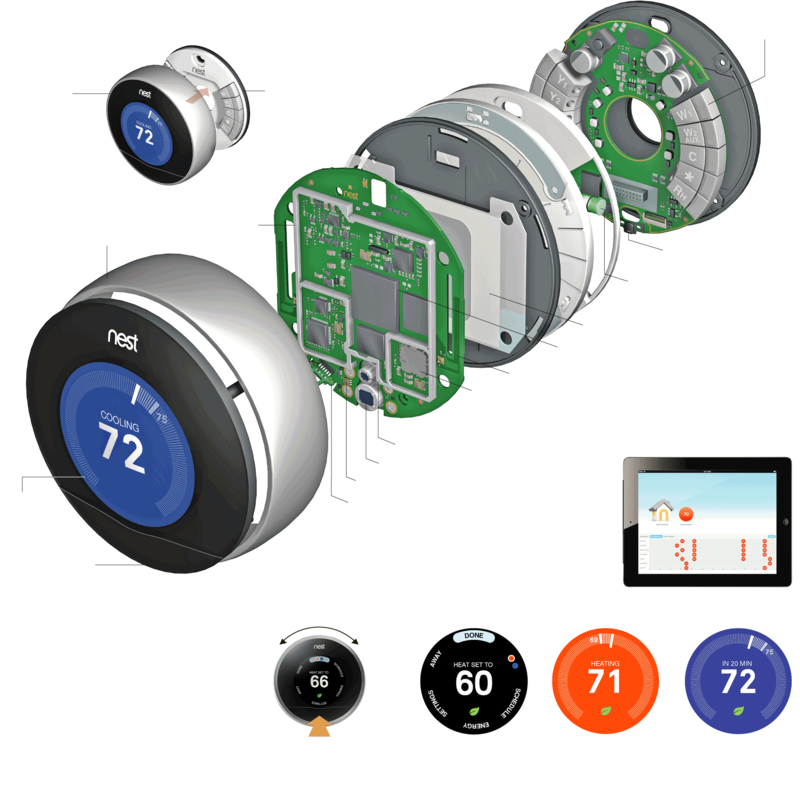 Google gets into the saving the environment game with their learning thermostat, Nest. For $249, this thermostat begins to make homes into the futuristic abodes like those found in the Disney Channel original movie, Smart House, where a teenage computer savant wins a computerized house for his family (imdb.com). But instead of making perfect smoothies and cleaning your room, Nest creates personalized schedules for the temperature of your house, turns down it’s power when it senses that no one is at home, shows you your energy efficiency, and can be controlled remotely from your phone (nest.com). Using Nest, people can now prepare a warmed home when they’re returning after a cold outing or ensure that they are not unnecessarily chilling an empty building. With Nest, people can not only prepare their homes for a warm welcoming, or save money on their bills, they can also track their energy usage. MyEnergy, which used to be run by Nest’s General Manager of Energy Services and is now a subsidiary of Nest itself, tracks users’ energy patterns and allows them to understand their own ways. In addition to allowing users to get a deeper understanding of their impact and Nest’s capabilities, customers can now contact live Nest Energy Advisors to learn the ways of Nest and how they can save the most. These studies of the monetary value of Nest are particularly interesting in considering how individuals learn to care about climate change. If they can’t relate to the impending, but still seemingly distant, effects of climate change, at least they can be motivated by monetary gains. The short-term goal, in the case of using Nest, benefits in the long-term, as it cuts down energy usage and primes people to be aware of the needs for conservation. This entry was posted in Energy Efficiency, Hannah Brown and tagged Google, individual energy, Nest, tech by Emil Morhardt. Bookmark the permalink.